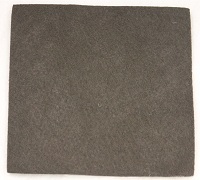 Our nonwoven geotextile is a high strength filter fabric designed to help with aggregate separation and filtration on a site. High in both permeability and strength, geotextile fabric offers effective filtration for both low and high flows. 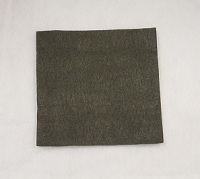 Fabrics are available in weights ranging anywhere from 3 oz. 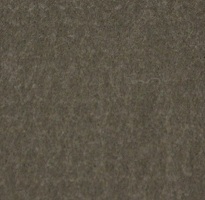 (light weight fabrics) to 16 oz. (heavy weight fabrics). Please view the fabrics below to find the best option for your site or give our team a call at +1-772-646-0597. 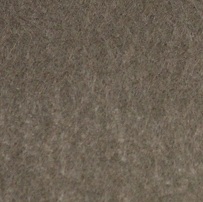 If you have questions about geotextile fabric, give us a call at +1-772-646-0597 or request a price quote. 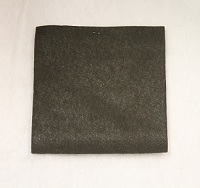 Nonwoven geotextile fabric typically sold by the roll and are available in sizes of either 12.5' W x 360' L or 15' W x 300' L. Multiple rolls can be connected together during installation to meet the required length and width of your location. 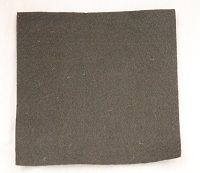 The nonwoven fabric is one of the most commonly used items for filtration and offers a needle-punched design that allows water to slowly drain and filter through the product. This allows water to flow through the fabric while keeping soil and other materials stabilized on the surface of the geotextile. 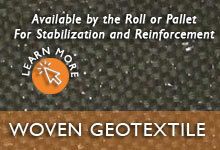 For geotextile securement accessories, please call us at 1-772-646-0597! 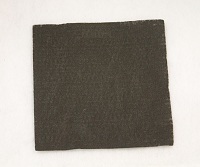 Woven Geotextiles are made of synthetic material like the nonwoven geotextile; however, they generally are stronger and sturdier. 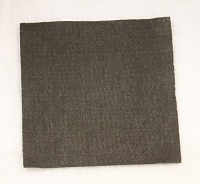 The woven structure of the fabric reduces elongation, gives it a larger sieve and helps maintain more tensile strength. 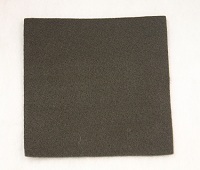 Natural geotextiles are offered in both a Woven Matting and a Nonwoven Blankets. 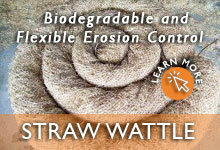 The most common biodegradable textiles are made of either Coir and Straw materials. These products often will come with netting, either double or single. The netting will be made out of similar biodegradable or UV degradable materials. 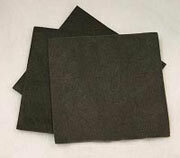 Need a filter fabric for drainage? Give us a call at +1-772-646-0597 or request a price quote.